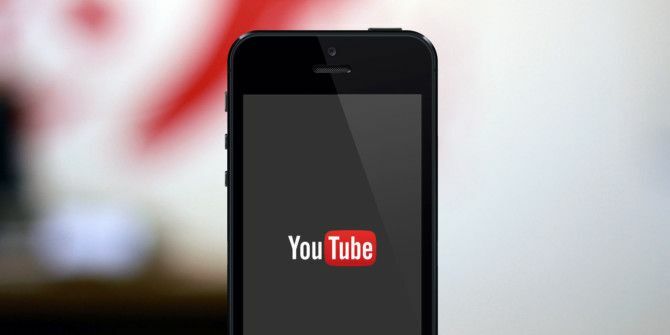 When iOS 6 took the original YouTube Hack YouTube: Kill the Annoyances, Improve Your Viewing Hack YouTube: Kill the Annoyances, Improve Your Viewing YouTube is a revolutionary service, but that doesn't mean that it’s without its flaws. There are many features on the site that are designed for convenience, other features that are meant to satiate legal requirements,... Read More app away, many developers scrambled to create their own versions of the video app. Of course, we now have the official Google YouTube app, but this doesn’t mean its return after a brief absence has stopped these creative minds. Since that portion of the app market opened up, it never really has closed. Below are five unique alternative YouTube apps for iOS devices. While you may find the official YouTube app to be top-shelf (as many of us probably do), the other guys aren’t so bad either. Each one has its own unique spice that adds to the YouTube recipe, so the individual apps will likely suit all of your different tastes. Jasmine’s sleek and clean no-nonsense interface allows you to browse videos, look at your playlists, check out your subs, and view recently played clips straight from the dashboard menu. The app also offers both nighttime and daytime viewing modes – perfect for showing a video at the office with coworkers or watching one right before you go off to dreamland. Jasmine does not incorporate in-app ads, but obviously, ones from YouTube itself still exist. The developer offers a $1.99 Pro version to make at least some sort of income from it, and the upgrade simply includes intensive parental controls that allow users to curate content and limit video discovery. The app also supports Airplay for those of you who enjoy watching things on the big screen, and basic commenting and social features are usable as well. As a note, for those of you who use Alien Blue The 5 Best Free Reddit Apps for iOS The 5 Best Free Reddit Apps for iOS Reddit is one of the most interesting websites on the Internet, and with such a mixed bag of users, it offers a massive variety of content. However, because each user is quite unique, their Reddit... Read More , you’ll be happy to know that the same developer is behind Jasmine. This app is a quality piece of work. Vodio goes beyond YouTube and aggregates popular videos from various sources across the web to generate a type of “video magazine” that is consistently updated and completely automated. By placing videos into categories and channels, users can view videos that are of interest to them. If you are a Reddit user, Vodio’s end-usage will seem familiar but without the voting system and a much, much prettier interface. The app also incorporates an “intuitive engine” which bases video options on your taste using Facebook, Twitter, and other social media outlets for reference. Speaking of social media outlets, Vodio lets you share clips with your friends right from the app. iTube is the perfect YouTube app for music lovers because of its playlist creation features. Built for the musician at heart, iTube lets users play music videos as they would play any song on their iPhone or iPod. Best of all, it plays in the background – something that the YouTube app doesn’t do. This means you can go to your favorite song using the app (Tiny Tim’s “Tiptoe Through The Tulips”, anyone? ), let it play, and go about your business whether it be Facebook, iMessage, or Mail. iTube also lets users control the music using typical iPhone playback and headphone controls. In short, the app’s usage is akin to Spotify or even the standard iTunes app. However, unlike Spotify, you do not need to purchase a subscription to play individual songs, and unlike iTunes, you are not limited to just the songs that are on your device. Launched late last year, YouTube Capture is the ultimate YouTube app that offers a feature the base app doesn’t (but honestly, really should). 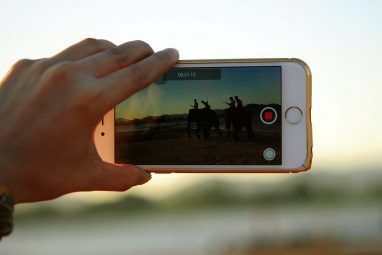 Developed by Google itself, YouTube Capture lets users record videos and upload them right from their phone a la Vine and Instagram. While YouTube Capture does not serve as a YouTube client which lets you view and browse videos, it’s an excellent on-the-go video recorder. 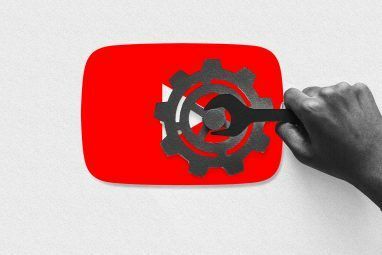 The app lets users make use of YouTube’s stabilization, trimming, and automatic color correction features – something that other video upload apps don’t. Another perk is the time limit which isn’t just a few seconds. In fact, you can record as long as your typical YouTube video would last, so all you really need to worry about is your Internet speed. Furthermore, you can upload and simultaneously share your videos with nearly all social media services as you go. Personally, I think Squrl is the best app name in the entire world, but that’s just me. Besides its clever nomenclature, it’s actually a very useful app that presents itself as more of a “video search engine” rather than just a YouTube client. 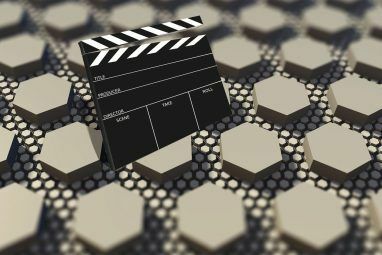 Pulling video from resources such as YouTube, Netflix, Hulu, TED, Vimeo, AOL, Blip.tv, Facebook, and Twitter, Squrl can help you put all of the Internet’s most interesting video content in one place. This is beneficial to users, for they can watch YouTube videos in the same place where they watch their paid subscriptions like Netflix and Hulu. It’s also a bit like a social media aggregator, bringing the best videos from your feeds to you. YouTube remains the dominant force in the online video sharing space, and the above apps are sure to enhance your viewing experience. If you are interested in a few more YouTube apps for iOS, we have a few designed for iPad and iPhone here The Top 3 YouTube Apps For The iPhone & iPad The Top 3 YouTube Apps For The iPhone & iPad Google and Apple have been butting heads in the competition over the mobile and tablet market for a long time, and now that the temperature keeps on rising, the effects of this face-off have become... Read More . What other apps do you use to watch YouTube on iOS? Have you ever made use of the apps already mentioned here? Jasmine was the best YouTube player for iOS for years. I've struggled to find a good replacement since it left the App store. So I've finally written my own. It's not free, but it is Ad-free, and allows remote control playback onto you Mac, for the large screen. Player only, no YouTube login (at least for now).